If you can offer a clear difference and stand out from the crowd, then Jason Windows is the place for you! Our people and culture are what makes Jason Windows a great place to work. The diversity of our team includes 18 languages, 23 different nationalities and over 2205 years of experience! In fact, 75% of our team have been at Jason Windows for 5 years or more. As an industry leader with a 280 plus strong workforce, Jason Windows regularly has opportunities for a broad range of unskilled, semi-skilled, trade, professional and management roles. We also have a sub-contractor workforce and source individual sub-contractor and sub-contractor teams for our residential lock-up area and commercial fixing and glazing area. Explore our Apprenticeship Program and our Current Job Vacancies page for further information. Jason Windows core values are internally known as the 4T’s - Teamwork, Total Commitment, Trust & Taking Responsibility. These core values define how and why things are done at Jason Windows. They seek to be naturally empowering for all employees, to provide direction and drive the rationale behind decisions and improvement opportunities. The 4T's underpin our success as individuals, teams and as a company. Please visit our current vacancies page for any available opportunities to join the Jason Windows team. When no positions are available, you are welcome to email your CV to HR@jasonwindows.com.au in case a suitable role does arise in the future. The Jason Windows Apprentice Program for Glaziers aims to produce future leaders and tradespeople for our hard to fill roles within the company and our sub-contractor teams. 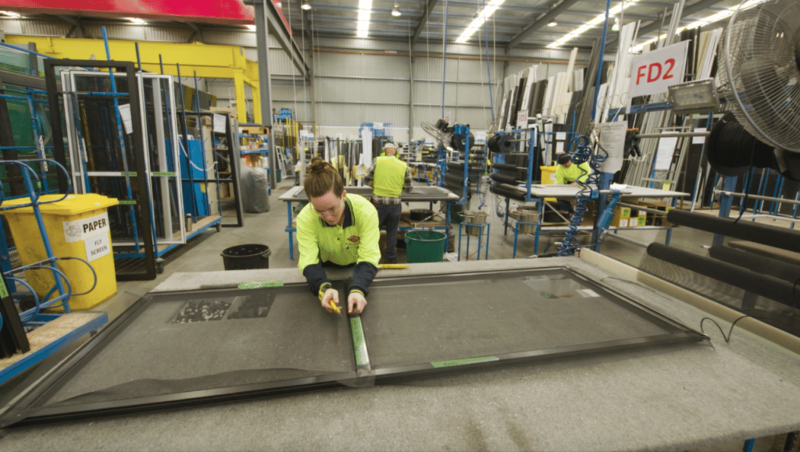 The program is recognised by TAFE and state and the Glass and Window Associations of WA as one of the best Apprentice programs for Glaziers in Australia. Unique to Jason Windows Apprentices is the ability to rotate through up to six areas of our business and along the way forge relationships with department Supervisors and Managers, learn unique competencies and gain opportunities to identify one of the many career options at Jason Windows. Our Apprentice Program encourages the growth and development of individuals and provides a range of internal possibilities to successful apprentices upon completion.